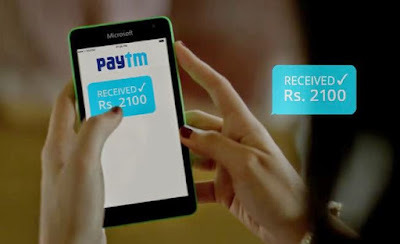 Paytm’s banking arm, Paytm Payment Bank, on Wednesday received formal clearance from the Reserve Bank of India (RBI) to commence operations of its payments bank from May 23, and it set a target of getting 200 million accounts by the end of this year. In a statement, a Paytm spokesperson said the company is in the process of launching Paytm Payments Bank on May 23. “We recently received approval from RBI for Renu Satti to be the chief executive officer,” said the spokesperson. One97 Communications Founder and CEO Vijay Shekhar Sharma was among the 11 applicants to receive RBI’s in-principle nod for a payments bank licence in November 2015. Sharma said that as per the directions of RBI, the company will be transferring wallet business to the newly incorporated payments bank entity Paytm Payments Bank. Renu, who is vice president of business at Paytm, will take over as the chief executive officer of Paytm Payments Bank from Shinjini Kumar, a former director at consultancy firm PwC, who was hired in February to lead the payments bank. Starting her career with One97 Communication, the holding company of Paytm, as human resources manager, Renu has been with Paytm for nearly a decade working on several projects, including Paytm marketplace and Paytm’s wallet business. According to a company official, Paytm will allow its close to 218 million wallet-users through a written request. Among this, those accounts which are dormant for six months and having zero balance, will be made a part of it by the company when a user places a request. The company has set a target of 200 million accounts within 12 months of the launch across current and savings accounts, and mobile wallets. Sharma has a vision of taking it to half a billion accounts by 2020. In an earlier interaction with DH, a Paytm executive had said that the company is investing around Rs 350 crore to begin the journey in the payments business. “We would like to make it into the second largest revenue stream of the parent company. Our branches will have a maximum of two to three members, and it will be mainly in the rural hinterland,” said the official. Sharma — who along with his firm One97 Communications have together invested Rs 220 crore in Paytm Payments Bank to date — wants to make banking service simple, easy to handle, transparent and penalty-free.